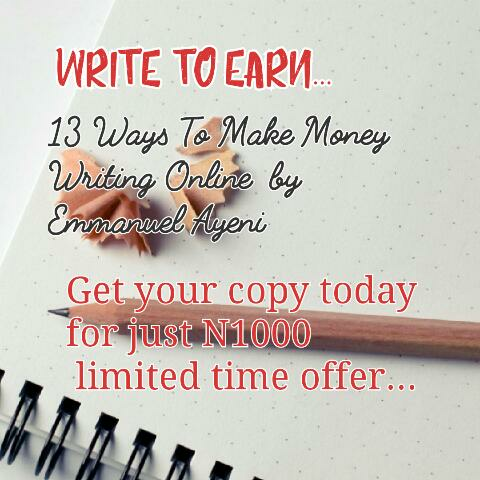 I have just written a new book, WRITE TO EARN that contains 13 iron-clad sure fire ways to make money Writing Online. Are you or anyone you know interested in making money from 50k to 100k income writing online? 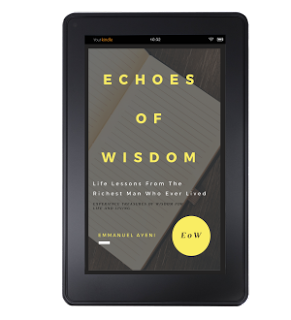 Are you interested in a copy of my new book WRITE TO EARN? I am giving out so much VALUE that has helped me make 6 digit income from writing. Can you see the opportunity in this, are you ready to take it or miss it forever ? Don't worry I am currently giving you this book at a sweet ongoing discount but for a limited time offer. Go ahead and pay N1000 to GTB. Then SMS/ Whatsapp email,name, payment details to me on 07033875827 to receive your book immediately.